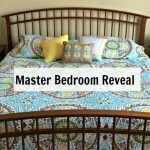 * I am a Decorart blogger and received free product for the completion of this project. All opinions expressed in this post are 100% my own. Over the weekend, I threw a bridal shower for my sister (with 40 guests) in my backyard. I was lucky to have beautiful weather! 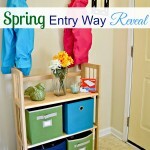 When planning the shower, I knew the party would require some creative thinking. 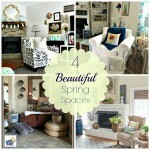 I certainly didn’t have enough serving table space to put out food and drinks for 40 people! I remembered the unused baby changing table that I have held on to for years. 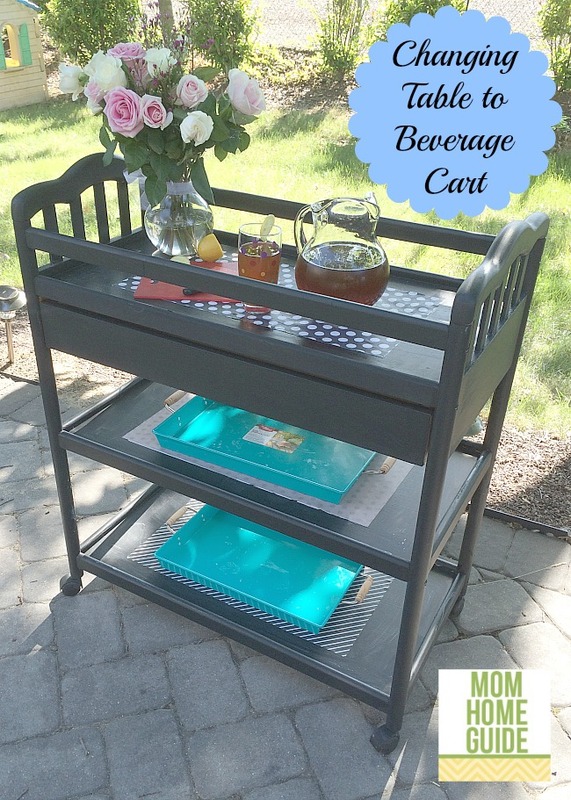 I decided to convert that changing table into a very useful DIY beverage cart/cart for the party! For my project, I used a baby changing table that my husband and I never used. 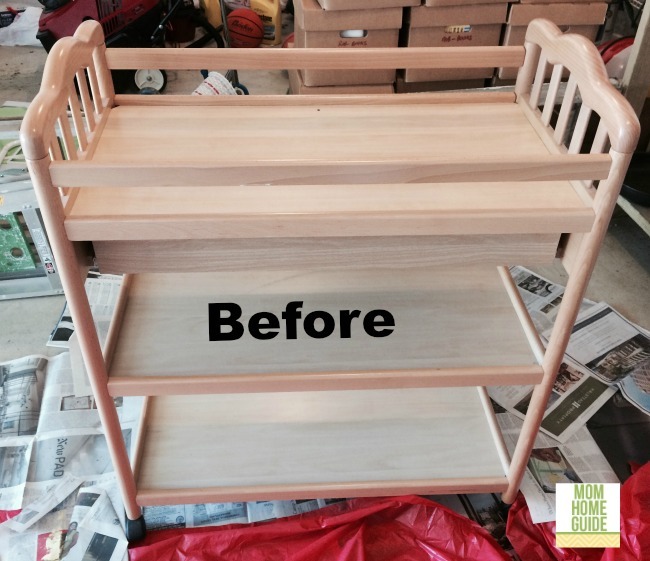 The changing table had been sitting in a walk-in closet and was being used for extra shelving, but since my daughter has moved into that room, I needed to find a new purpose for the changing table! 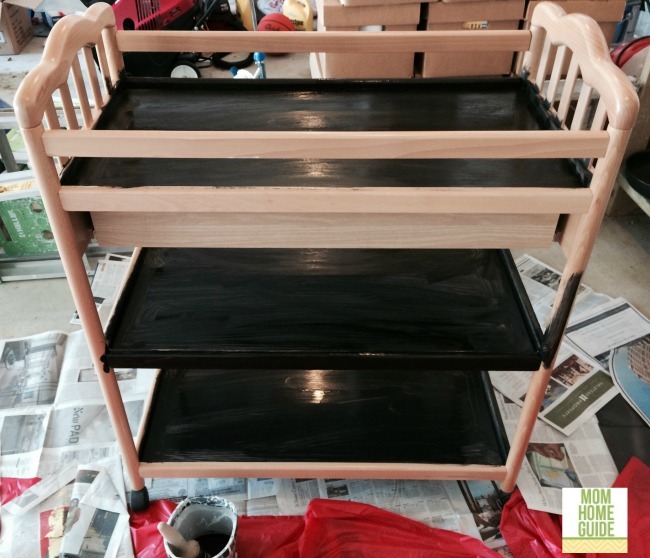 To paint the changing table, I used two 8 oz. 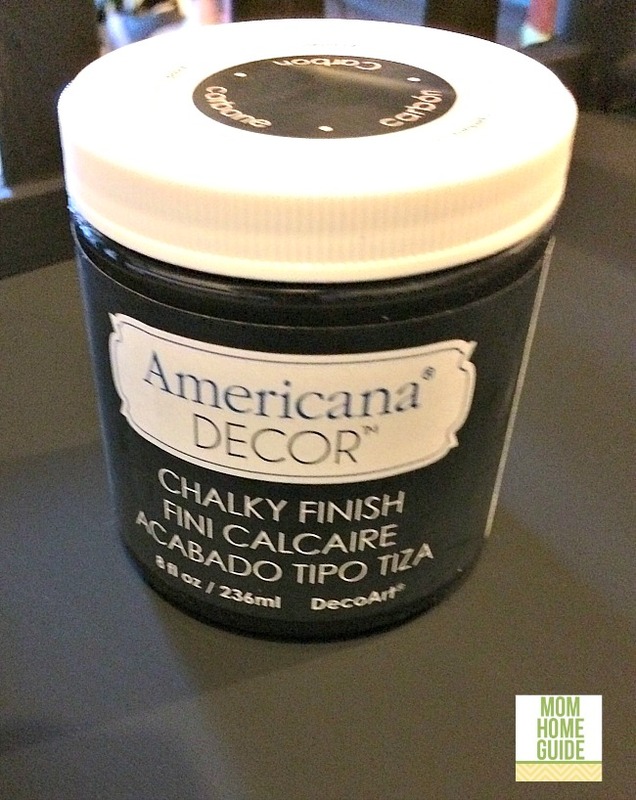 jars 0f Americana Decor Chalky Finish Paint in carbon (a deep black). The paint is perfect for refurbishing old furniture pieces — you don’t have to do any prep work (no priming or sanding), save for making sure the furniture is clean before you paint! My Americana Decor Chalky Finish Paint went on really quickly and easily and made a quick job of painting the changing table! The paint is water-based, so it made for easy clean up, too! To add some flair to the beverage/bar cart, I chose a piece of black and white printed scrapbook paper for each shelf of the bar cart. 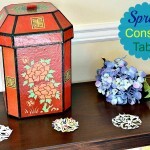 I centered a piece of scrapbook paper onto each shelf, and used some Mod Podge to adhere the paper to the cart. 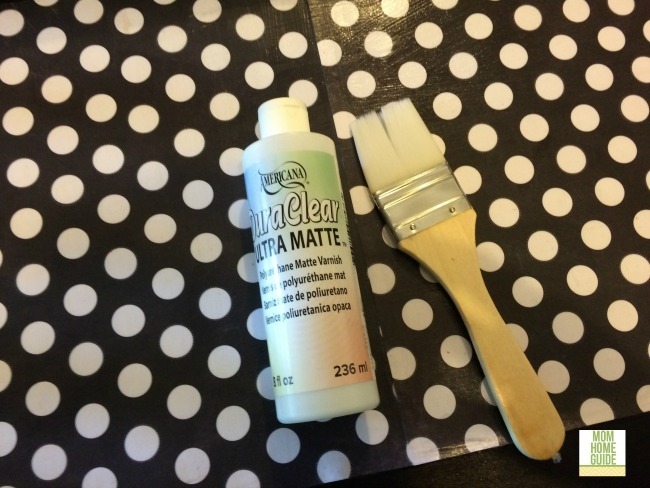 I used Americana DuraClear Ultra Matte varnish to the top of the scrapbook paper and to the cart to give it a clear, waterproof finish. 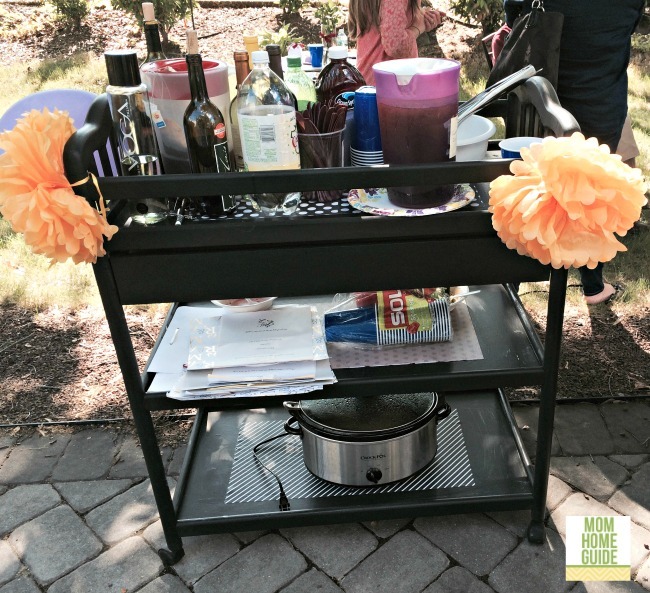 I love how the beverage cart / bar cart came out! I think the cart adds pizzazz to my home’s patio. 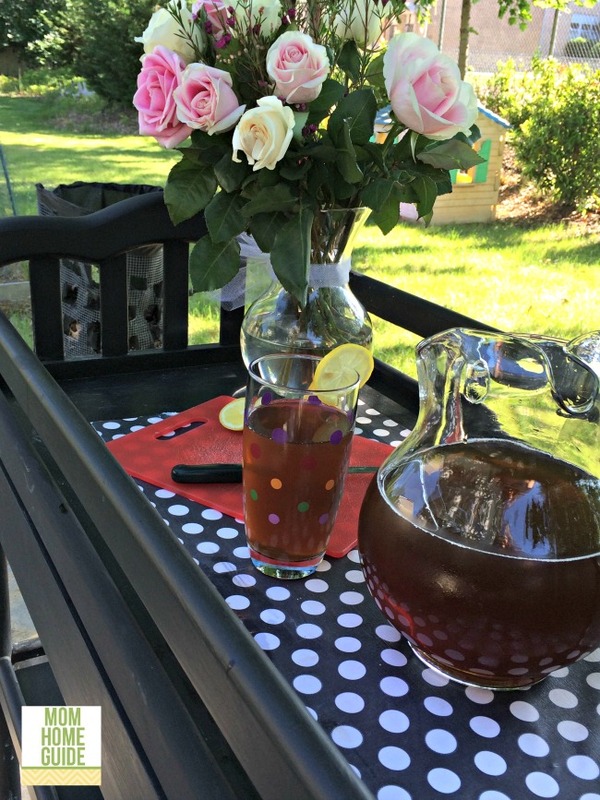 My new beverage station is perfect for serving drinks to family and friends. 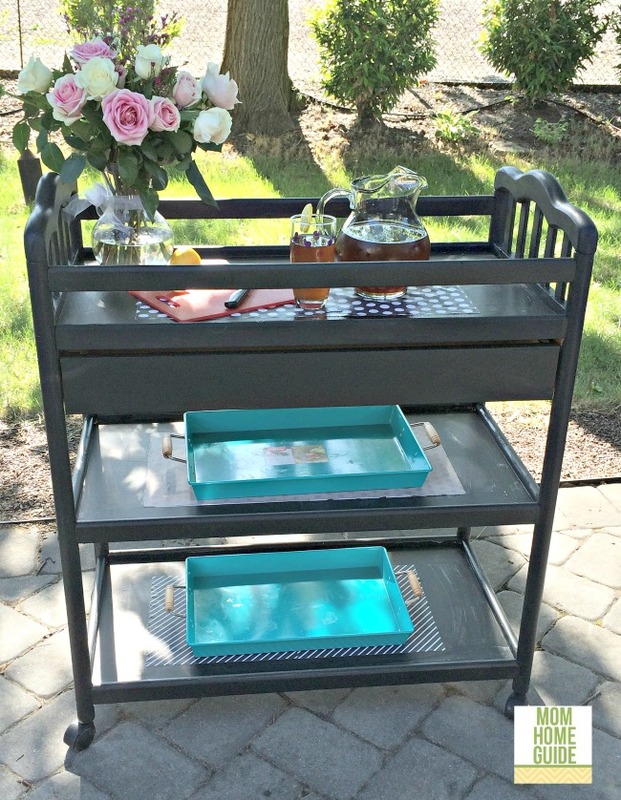 I love that the cart has wheels, so I can easily place it where I choose on the patio! The beverage cart / bar car really came in handy during the bridal shower, and was crammed full of all sorts of drinks — both alcoholic and non-alcoholic! In all, I love my changing table turned bar cart that I painted with Americana Decor Chalky Finish paint! 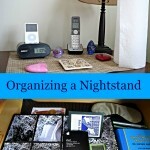 My project turned an old piece of furniture that was taking up space into a really beautiful and useful object! 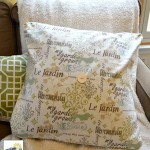 This project was shared at the Get Your DIY On and Creative Spark Link Up Party.